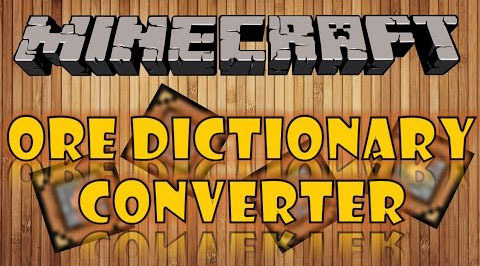 Ore Dictionary Converter Mod installs blocks and items that are capable of converting between different versions of the same ore using the Forge ore dictionary. This allow ores and ingots to be stacked and use less space in the inventory or chests. To use it, craft an Ore Converter, then right click with it in hand to open its GUI. 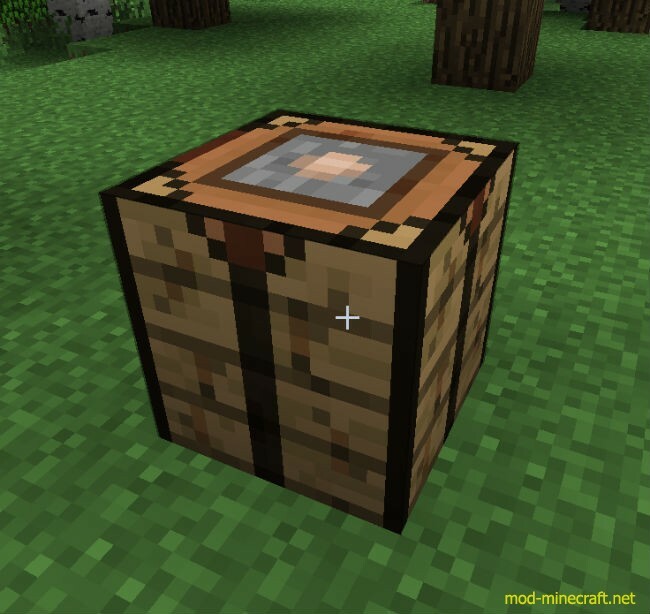 The Ore Converter is an item that allows ores to be converted. To use it place it in the hotbar and right click with it in the hand, it will open a GUI. The GUI has 2 sets of slots. 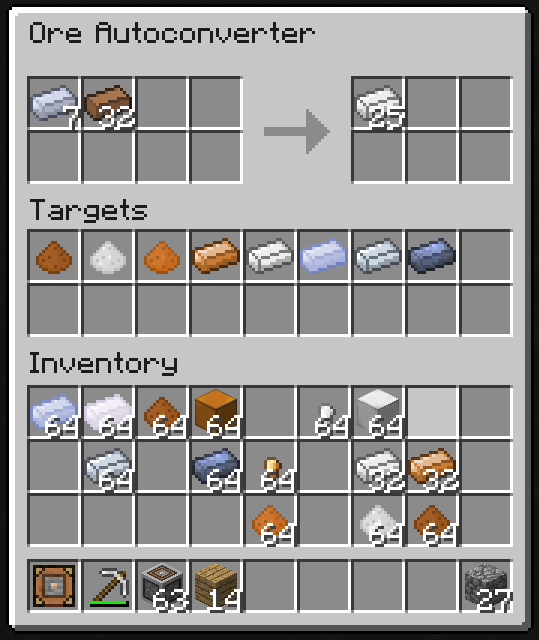 In the left 3×3 slots is where the ores are placed, and in the right 4×4 slots is where the target ore is converted (similar to using a workbench). 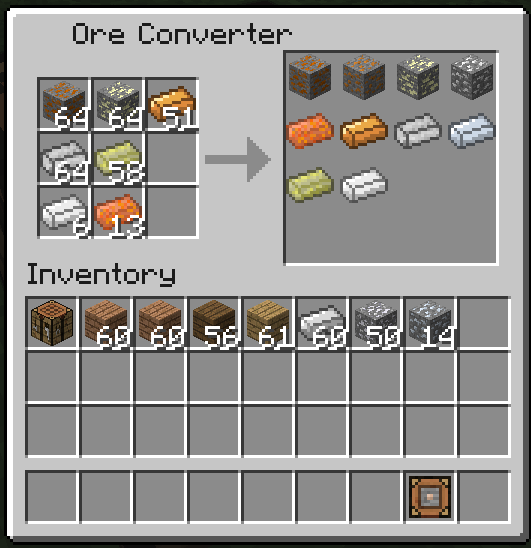 The Ore Conversion Table is a block that has the same function as the Ore Converter but is placed in the world. The Automatic Ore Converter is a block that automatically converts ores when they are placed on the input slots. When activeted it will open a GUI. The gui has 3 sets of slots. In the top left 4×2 slots is where the ores are placed, in the top right 3×2 slots is where the converted ores are pulled out, and the bottom 9×2 slots are used to set a specific version of the ore to convert (if none is specified, the first ore in the dictionary is selected, and if the item is not on the Ore Dictionary, it&#39;s placed directly on an output slot). 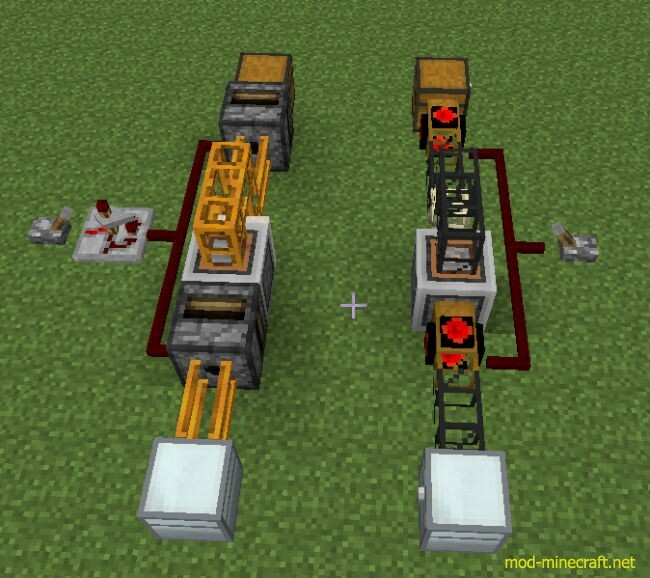 The Automatic Ore Converter works with hoppers, Buildcraft pipes, etc.